VieeSports Exchange is changing the landscape of eSports betting by providing users with a safe and transparent eSports wagering platform. The site is currently expanding round the world and is providing new users with a Welcome Bonus which provides a risk-free first bet up to $20. 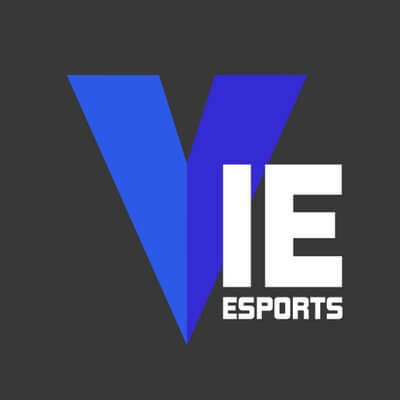 To find out more about VieeSports, read our review below. Go to the VieeSports Exchange website and click on the ‘Sign Up’ button found at the top right-hand side of the homepage. Fill out the registration form with necessary information and create a unique Username/Password combination which will be used as your Login. Check off the Terms and Conditions box and click on the ‘Submit’ button. You may now fund your account by visiting the cashier and making a deposit using any of the exchange payment methods. After you have successfully funded your account you may place a bet, if the wager loses you will be refunded a Free Bet worth up to $20. The VIE Exchange is currently providing all new users with a Welcome Bonus which offers a chance to make a risk-free first bet worth up to $20. Basically, if a new user loses their first bet on the exchange they will be refunded in the form of a free bet up to $20. Users must be over the age of 18 and be new users to the VieeSports Exchange. Existing users will not be able to take part in the Welcome Bonus. Only losing bets will be awarded the first bet bonus. The maximum that can be won from the bonus is $20. To qualify for the Free Bet, a valid deposit must be made on the exchange within 7 days of an account being registered. Free Bets must be placed on odds 3.50 or lower. A wagering requirement of 4x the profit from the free bet must be turned over before users will be able to withdraw bonus funds from their account. The Free Bet expires 14 days after the first bet has been resolved. VieeSports Exchange general terms and conditions apply. The VieeSports Exchange currently offers to wager on League of Legends, Counter-Strike: Global Offensive (CSGO), Dota 2, Overwatch, Call of Duty and StarCraft II. It expected that the exchange will branch into other popular Esports titles in the near future as well. Dota 2 Betting and LoL betting are very popular at VieeSports, with a range of professional matches available almost every week. Top international tournaments such as Dota 2 Majors and The International bring about unique betting opportunities with more betting markets available due to the popularity of the events. While there is no mobile app available at the moment, users may access the exchange on their mobile devices using a browser-based client. All they have to to do is simply visit the exchange on their mobile browser, no download is necessary. The browser-based client is optimized for all mobile devices providing a smooth and easy to navigate interface that can be used from wherever on your mobile device. The VIE Exchange is expected to release a mobile application in the coming year which will allow users to get notifications about their bets and give users the chance to make quick deposit/withdrawals. Payment methods available to you may be based on your region. Deposits are generally instantaneous whereas withdrawals can take between 3-5 days to realize. Minimum and maximum deposit and withdrawal amounts may apply. The VIE Exchange brings the sports betting exchange system to eSports betting, cutting out the player vs house mentality and providing users with a more diverse method of placing esports bets. The exchange is still growing and is expected to be a major player in the eSports betting scene in the coming years. Don’t forget that the VieeSports Exchange Welcome Bonus is currently available giving all new users the chance to get $20 risk-free first bet when they register. The VieeSports platform uses a system which allows users to bet against one another rather than against the sportsbook. This PvP style of betting allows users to set their own odds rather than follow the odds set by the bookmaker. As an exchange sportsbook, VieeSports makes a small commission on each bet rather than the traditional sportsbook method of keeping losing wagers by pitting the bettor against the house. This way a VIE bettor always wins and the Exchange removes all risk, creating a win-win situation for both the bettor and exchange. The Company holds licenses with the Kahnawake Gaming Commission in Canada to conduct online gambling and 18+ gaming globally, excluding the US and EU, in Curacao, and the Kingdom of the Netherlands. The Company also maintains offices in Antigua and Curacao.